Nineteenth-century impression of the only state (?). I understand that there were three early editions published in Antwerp of the series of which this plate features—but without the creation of fresh states: 1645 (this edition may not have included this plate as it was executed in 1648), 1648, and 1666. Condition: well-printed impression with signs of wear to the plate on laid paper in pristine condition with generous margins (varying, but approximately 3 cms). 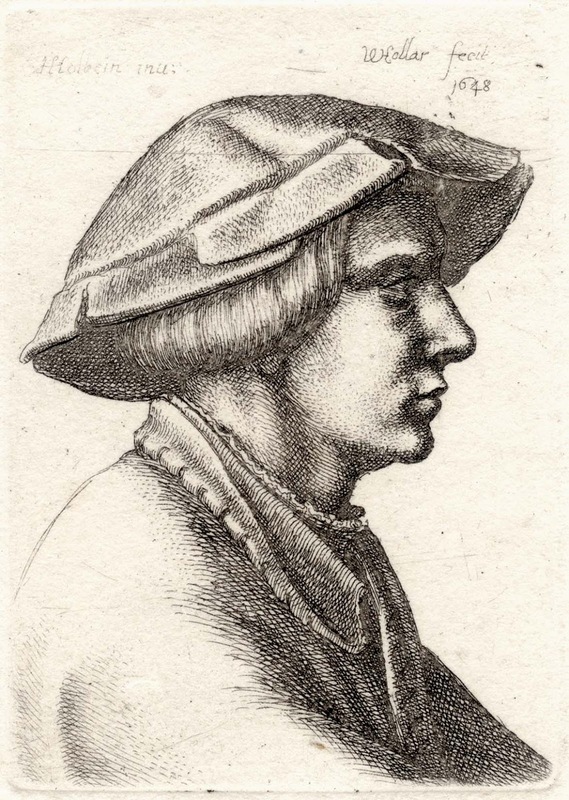 I am selling this exquisite etching by one of the greatest printmakers of history, Wenzel Hollar, reproducing a now lost painting by Hans Holbein (the younger)—an artist famous for his paintings of the court of Henry VIII (amongst others)—for the total cost of AU$98 (currently US$78.13/EUR65.36/GBP57.90 at the time of this listing) including postage and handling to anywhere in the world. 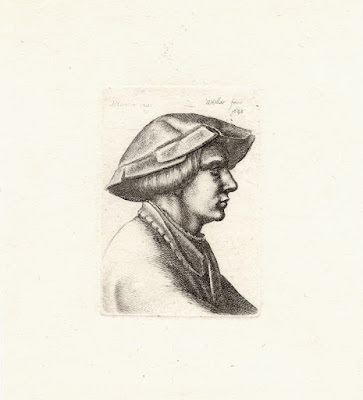 If you are interested in purchasing this small and delicately executed Tudor period portrait, please contact me (oz_jim@printsandprinciples.com) and I will send you a PayPal invoice to make the payment easy. 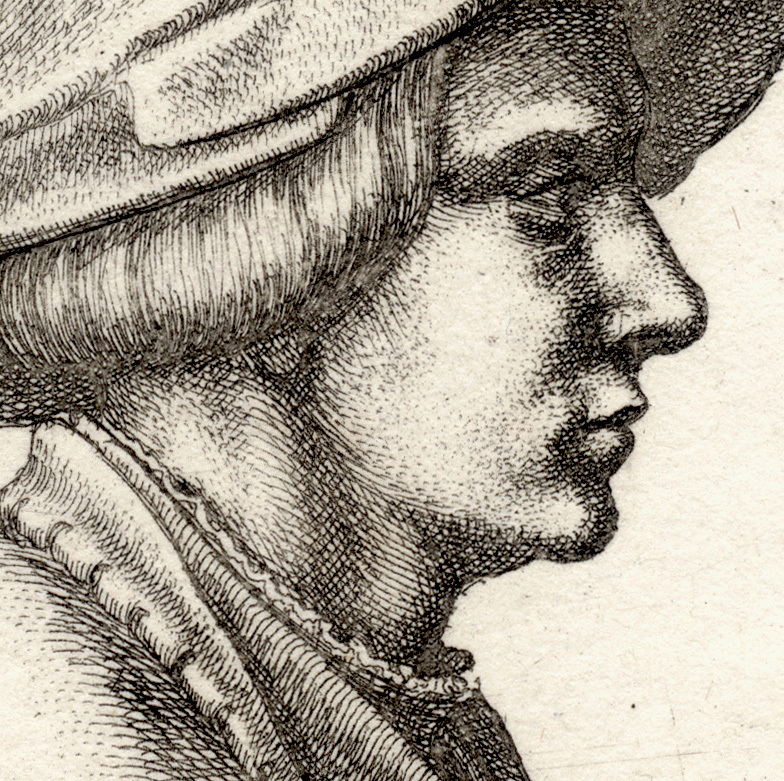 Although the whereabouts of the original painting by Holbein upon which this etching is based is unknown, there may be a very simple explanation to this puzzle, as revealed by Richard T Godfrey (1994) in “Wencelaus Hollar: A Bohemian Artist in England.” Godfrey points out that, as is the case with Hollar’s etched copies of Leonardo’s drawings (see the earlier post featuring one of these prints), Hollar “could show fidelity to his models” (i.e. 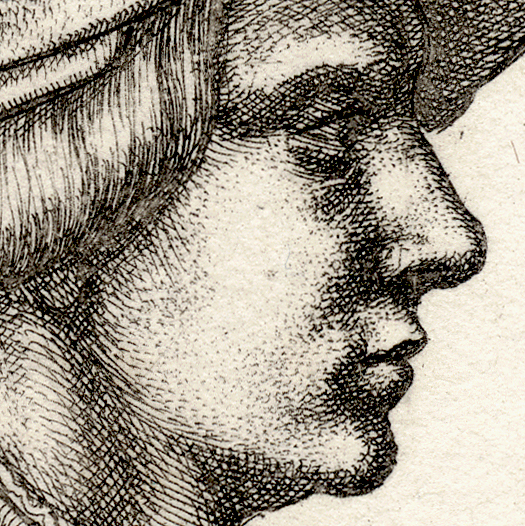 precise line-by-line faithful copies of the original drawings by Leonardo), “…yet he would sometimes combine elements from several sheets to make a single etched design” (p. 13). 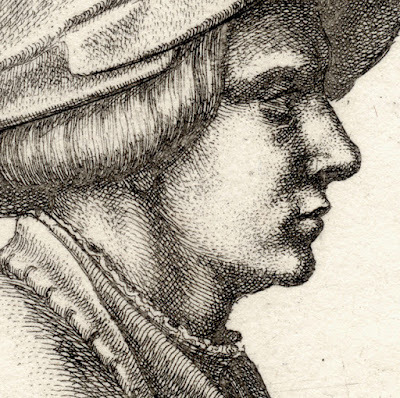 In short, what I am proposing (without being privy to more information than is currently available) this portrait may be a concoction—a copy of a portrait by Holbein that never existed at all! Of course, I doubt that this is the case but it is a lovely thought and would resolve the question of whatever happened to Holbein’s portrait.